Charles de Gaulle Airport Paris CDG is the main French airport. Among the undoubted merits of the Airport is the perfect location with the possibility to ge to the city in 20-30 minutes as the airport is only 25 km away from Paris. 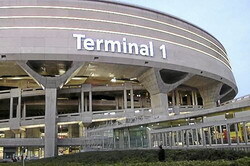 This airport is among the ten busiest airports in the world by passenger traffic. Airport Paris - Charles de Gaulle has got two railway stations, so if you are looking for a way to get to Paris that is cheaper than a taxi, you can choose the commuter trains that go within 4 to 15 minutes intervals. It will take you about half an hour. Trains are running from 5 am to the midnight. If the commuter trains are not for you and if you don`t want to overpay for the taxi, but still want to get to the city with comfort then please book the airport-Paris transfer service from our company. And be sure that you will be happy with your choice after getting to the city quickly and inexpensive. 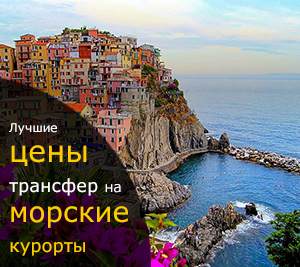 When visiting Brest, you can book a per-hour car rental with driver from 2 hours/day and more. Meet and Greet service, offered by our company, will significantly simplify the meeting in the airport for the newcomers. Using a "car rental with driver" service you can vesit the places of interest, famous shops or outlets to do some shopping near the city, saving your time in this way. Brest chauffeur service offered by our company will cost you much cheaper to order a car rental with driver with us than to hire a taxi driver. To book the economy car or minivan with chauffeur or a comfortable premium class car, coach, shuttle bus up to 50 seats, please choose the button. Per hour rental in the left upper corner of the page, write in the [Departure:] field the departure point and number of hours.